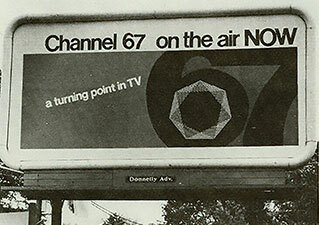 Fifty years of service – made possible by viewers like you! Thanks for visiting our 50th anniversary web pages and joining the celebration of MPT’s five decades of service to Maryland and its citizens. We invite you to stroll with us down Memory Lane and revisit your favorite productions and activities. But we also ask you to consider ways in which MPT can better serve you in the years ahead. It’s our 50th anniversary year. Thank you for making it possible! 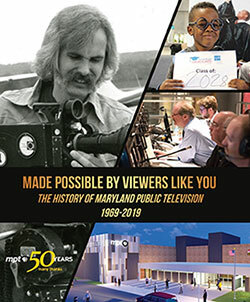 Made Possible By Viewers Like You, The History of Maryland Public Television, 1969-2019 is an 84-page publication that traces the evolution of this network from the 1966 legislation that created public TV in Maryland to the present day. 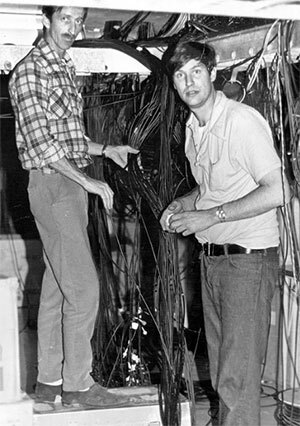 More than 350 photographs help capture the early Maryland Center for Public Broadcasting “pioneers” at work and illustrate the activities of their successors at Maryland Public Television. Ask about how to reserve your copy by e-mailing mptpresident@mpt.org. A City Celebrates: Opening of Harborplace Viewers chuckled at the Emmy-winning comedy show Crabs, glowed with pride during A City Celebrates: Opening of Harborplace, were saddened by Understanding Joy: The Devastation of a Gambling Addiction, and sat happily with their children to watch Bob the Vid Tech’s Big City Adventure. Historic documentary, music, sports, art and culture – no matter the subject area, MPT tackled tough stories and uplifting programs alike, delivering high-quality productions that earned viewer acclaim – and no small number of Emmys and other awards. 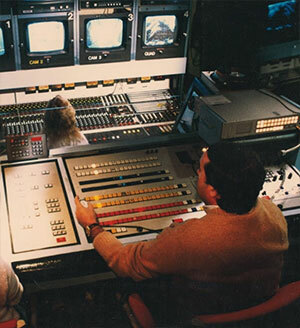 Now, a new, 120-minute production Made Possible By Viewers Like You: 50 Years of Maryland Public Television captures five decades of televised education and entertainment. Ask about how to order your personal DVD by e-mailing mptpresident@mpt.org. Next stop: your town. The MPT 50th anniversary traveling exhibit is making its way around Maryland to give citizens a close-up look at the history, personalities, and images that were part of five decades of service to the state. MPT’s 50th anniversary year is chock-full of events open to the public. Whether you visit us for a Friday Freeview screening, stop by our booth at local fairs, or register for one of our enjoyable fundraisers, we look forward to welcoming you to your public TV station during our anniversary celebration. 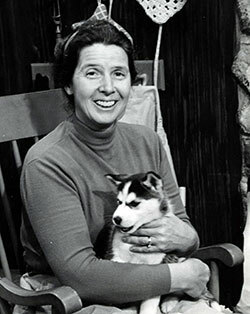 Miss Jean from Hodgepodge Lodge Nearly 800 separate productions and series were made at MPT beginning in 1969 and continuing uninterrupted for five decades. 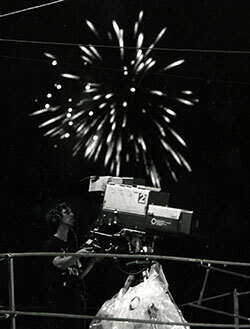 Now, for the first time, the titles and broadcast years of these programs have been compiled. » Check here for the complete list. In some cases, it’s possible to purchase a DVD of a current or past program. Ask for information by e-mailing mptpresident@mpt.org. A picture, they say, is worth a thousand words. 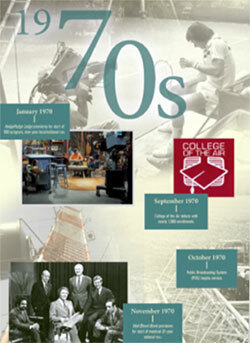 Take a look at our special » online photo gallery created specially for the 50th anniversary. 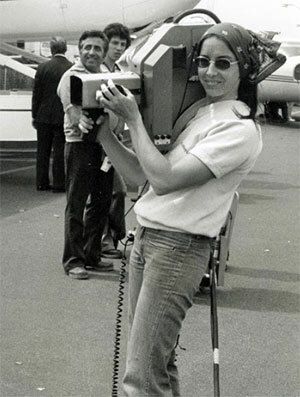 If you have MPT photographs to donate to our photo archives, we gladly welcome your contribution. Send to: Photo Archives, Office of the President, Maryland Public Television, 11767 Owings Mills Blvd., Owings Mills, MD 21117-1499. Watch this space for updates on other anniversary-year activities. Have an anniversary-related question? Send an email to: mptpresident@mpt.org and we’ll be happy to help.